Congratulations, Bolsa Grande! 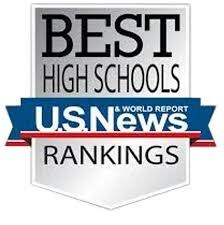 Recognized as a US News 2018 BEST HIGH SCHOOL! U.S. News & World Report is a well-renowned research company that has long provided analysis and statistics to allow individuals to make reliable, more knowledgeable decisions about critical life matters; as a significant focus of the company is on education, this service empowers families to make more knowledgeable and conscientious decisions about their student's education. According to the company, "A great school can help students build the foundation for a bright future," and Bolsa Grande continues to do just that!